There are looming conflicts between the Trump administration and local governments on a number of issues, including (but not limited to) sanctuary cities and climate change laws. In this episode of Planet Lex, Daniel Rodriguez discusses these hot-button topics with Kirkland & Ellis Professor of Law David Dana and Associate Professor of Law Nadav Shoked. Together they discuss the current state of sanctuary cities, response to the Trump administration pulling out of the Paris accord, and the ongoing clash between federal authorities and state and local government. Nadav Shoked joined the Northwestern faculty in 2012 as an Assistant Professor of Law. His work focuses on the law and theory of property, local government law, and American legal history. As Kirkland & Ellis Professor of Law at Northwestern University, David Dana is a leading scholar in the fields of environmental law, property, land use, and professional responsibility. 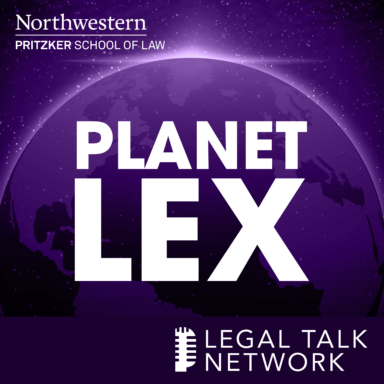 Intro: Welcome to Planet Lex: The Podcast of Northwestern Pritzker School of Law, with your host Dean Daniel B. Rodriguez, bringing it to you from Chicago, Illinois. Take it away, Dan. Daniel B. Rodriguez: Hello and welcome to Northwestern Law’s Planet Lex, podcasting from the Northwestern Pritzker School of Law in Chicago, Illinois. My name is Dan Rodriguez, your host. Joining me today are two of my colleagues; professors David Dana and Nadav Shoked, who are experts in among other areas property rights, local government law, and in the case of Professor Dana environmental law. So much we could talk about. Today, I thought we would focus in on, what to say, the Trump administration, of course. And in particular, the Trump administration federal government and looming conflicts between the feds and state and local governments, with particular focus on two issues that are prominent in the news these days, sanctuary cities and struggle over climate change and federal and state local governments. So let me say a word about my two guests, David is the Kirkland & Ellis Professor of Law here at Northwestern as well as the Associate Dean for Faculty Affairs, he focuses in on environmental law, property, land use, and professional responsibility. Nadav is the Associate Professor of Law here at Northwestern having joined the faculty in 2012. His work focuses on the law in theory of property, local government law and American legal history. Nadav and David thanks for joining me. So let’s turn to the first topic which is sanctuary cities, and just to tee this up, as you both know since the election of Donald Trump in November some states and localities, no secret, more liberal, states and localities have pushed for increased federalism, part of that push has been in the area of immigration is creating what are called sanctuary cities, and before we get in that issue let me ask either one of you or both of you to help our listeners in defining what in the heck is a sanctuary city? Nadav Shoked: Actually it’s a very good example for how important cities actually are in the American order as opposed to what we see in other countries and many other places in the western world and elsewhere, people would be shocked to even hear this thing, to hear about the fact that the federal government here at the end of the day often enough cannot really meaningfully enforce certain policies that it pursues, and that’s because in America unlike elsewhere by and large policing is done by localities. The Federal Police Force which is mostly the FBI to not only is not there on the street every day, the officers that are on the street that you need everyday are local officers of the Chicago Police Force and the Chicago Police Force whether the New York one or the LA one does not answer to the federal government, indeed it doesn’t even answer directly to the state government, it answers to the city or sometimes the county government, and therefore they take their orders from the Mayor, from county representatives who appoint the Chief of the Police. And then what often has been happening over the last few years is that Mayors actually had started in the 90s originally in New York have instructed their police forces not to prioritize the enforcement of federal immigration laws and what it mostly means in practice is that local police officers would not initiate investigations in to whether a person who has been arrested for some reason is or is not an illegal immigrant and would not necessarily advice the federal authorities that they have in custody for another crime someone whose immigration standing might be questionable. Daniel B. Rodriquez: Can I just jump in to take you all the way back to what you said at the beginning that very useful description? You said that policing is done at the local level, there isn’t as it were a Federal Police Force, but you also noted that immigration law, immigration policy is federal policy, we know we have an immigration police force in the form of ICE. So why isn’t it enough for the ICE officers to make the arrest, to get these illegal immigrants into the criminal justice system, why do they rely or need to rely on local government officials for anything having to do with immigration? Nadav Shoked: That’s a very good point because it’s not as if a city of a state for that matter can stop the ICE officers or any other federal officer from exercising her or his duties in arresting someone based on federal laws, in this case federal immigration law. So sanctuary cities does not mean that we do not allow the federal government or the federal officers to come in and start shooting at them if they do, but the problem is, it’s just a practical problem, you don’t have enough ICE officers. David Dana: Right, I think it’s a question of resources, so a lot of federal policy is really based on relatively small resources where the federal government piggybacks on the state and local government. So if you only had the federal government enforcing things directly, you won’t have much enforcement across the board. I think there is also a normative part, which is, if you would ICE agents in large numbers walking around the city there really might be a pushback of a different kind that we’ve scene. Daniel B. Rodriguez: Interesting. I noticed that among the interesting anecdotes that gave rise to certainly the rhetoric and the struggles about sanctuary cities is the increasing prevalence of the tactic of ICE officers, federal officers, hanging around, you might say in courthouses or outside of courthouses, hoping and expecting to take an illegal immigrant who is before a judge on, let’s say a local matter and arrest them as leave the courthouse, is that an urban legend or does that really go on? Nadav Shoked: Well, there is nothing stopping them from doing it, there is nothing stopping a federal agent from looking for immigrants in places where they think that they are likely to find them, at the same time if cities really want to stop this, again, they cannot block the federal agent but they can make it tough or tougher for the federal agent to just happen upon an illegal immigrant by not announcing for example when the trial will be held or just shifting them to other courts. David Dana: I think the other thing cities do is they choose not to hold people longer than they otherwise would just so ICE can get around. So one of the biggest questions is, can ICE basically ask the city effectively to hold people longer so that they can get to these people and deport them? And most of the cities that we call sanctuary cities have taken the view that will only hold people as long as we have probable cause or other reason to hold them for the crime at issue and not just because of the immigration status. Daniel B. Rodriguez: So, Nadav, you noted that this origin of sanctuary cities goes back in number of years, obviously, it’s pertinence now because of the Trump administration’s announcement that they will not tolerate sanctuary cities standing in the way of immigration law enforcement, what address do the feds have, what are the mechanisms by which the Trump administration can credibly say, we won’t tolerate this? Nadav Shoked: Yeah, so we can all say we won’t tolerate it. It doesn’t mean too much, I mean it’s a threat, it can be a financial threat, but they can’t legally block them from doing it, that’s been litigated and the past cities are allowed to say we are not cooperating, they are not allowed as we said before to just block the federal government obviously, I mean, that would be what the South tried to do 150 years ago, but what they definitely can’t do is to choose not to cooperate, so what does the administration do if they want to incentivize cities to cooperate, what they have been trying to do is to say the cities, we will take away money from you if you don’t cooperate. So when they say, we are not going to tolerate sanctuary cities, what they are actually saying, is we are not going to tolerate the paying of federal funds to cities that don’t cooperate. Daniel B. Rodriguez: So by taking away money, technically what that means is withdrawing federal money that would have gone on a discretionary basis to state and particularly local law enforcement officials anyway, what’s the magnitude, I mean, I assume it differs from city to city, but give us a sense of what the magnitude is of that? Nadav Shoked: Well, here it becomes complicated because it really depends on what money they are going after, and what money they can actually go after. The first stage is to just tell the cities, we are just going to take away money that you are getting for your police services for policing. Now that’s in all likelihood legal, but it’s also in all likelihood not particularly effective, so look at Chicago budget, if they just go after the funds that we here get from the federal government we both the city and the county, because the county also is on the black list that the administration publicized that they get, for policing it’s less than half a percentage point of the annual budget of the city. So it’s pretty much meaningless. Now, that’s why the threat only becomes effective if the federal government says, we are going after all monies that the city or county are getting from the federal government irrespective of whether or not it goes to policing, but that’s also where the question becomes, is it even legal to do that because it might not be discretionary as you mentioned, there are also going to be a lot of practical problems, because a lot of these monies sometimes go through the state and only dented a city. So that’s really what we are seeing now, and also to an extent that the litigation is going on now in California. Daniel B. Rodriguez: Is that an open question — go back to the legal issue, leave the practical issue to one side, I thought that the courts, the federal courts and indeed the Supreme Court had weighed in previously on the question whether the feds could basically say we can take all the federal money away or is that still a looming legal question? Nadav Shoked: There is a looming legal question because a lot of the money that the feds — theoretically because the Trump administration has insisted that so far they have done nothing, they theoretically are saying that they are going to take the money that this federal government, the executive has to transfer to localities based on federal statutes, which mean that in order for the localities not to get it, you have to actually get Congress to act, which is unlikely to do. David Dana: And that part I think is clear, it’s clear that for the monies that we withheld from the legislative grant, it has to be clear in the legislation, so the conditions have to be in the legislation and really they are not. So for most of this money there is just nothing in there about a condition about immigration enforcement. Daniel B. Rodriguez: So another way to put that is, if the feds are truly serious about knocking down localities and doing so through a bigger threat, which is more federal funding, that would probably require federal legislation. David Dana: Right, they have to back to Congress. Nadav Shoked: Imagine an easy example, so imagine you have a federal statute that says that a locality should get federal funding for public housing in accordance with a formula that calculates in the size of population, income levels, and other such criteria. If the relevant department within the executive, the housing departments now wants to cut that funding based on something that’s not in those criteria, it cannot do it because it’s going to go against the statute, that’s why they need to change the statute if they want to do it, which again is unlikely. Daniel B. Rodriguez: And just what you said, Nadav, in essence is the underpinning of the federal judges ruling a couple of months ago in a case in Northern California, if I understand correctly that a case that involved a lawsuit brought against San Francisco and Santa Clara County, which is pending on appeal although rumor has it or at least what I read is that case may settle. So at least the legal issue may go away at the same time as you know, there is litigation in Texas, the federal government very much coming down, bringing a lawsuit against Sanctuary City in Texas or a tiny border city of El Cenizo in that regard. Let me ask a question that sort of takes us back to local Government Law 101 as it were, and that is, these issues are being brought up because of local cities, but if you consider, for example, Texas, a very conservative state with liberal enclaves, where you and I both lived, Austin and others, is there a challenge there with respect to the relationship between state and local governments, and tell us a little bit about that? Nadav Shoked: Yes, so actually the litigation thing based in California and in Texas, to some extent are different because in Texas there is that very element to the story, which is the state versus the local. What’s going on in Texas now is that in Texas, the state has adopted a statute, which might have also been adopted elsewhere but not in such a whacky version as in Texas. The state has adopted a statute whereby under state law, cities and local police officers must help the federal government in the enforcement of its immigration law and if they do not, they are actually sanctioned by the state, and when I said, “whacky”, supposedly the whacky element there was that it’s all the way down to the extent that a local police chief might be found personally liable if his or her police force does not help the federal government. Now, several of Texas municipalities, including the usual suspects like Austin and San Antonio have indeed challenged this Texas law, so not a federal law, but the Texas law, they have challenged it in Texas, arguing it’s against protections that municipalities enjoy in Texas under Texas Laws and the Texas Constitution, also some issues of due process, but that’s a separate litigation from what we are seeing in California, where the battle is between the city or county and the federal government when the city and county is trying to tell the federal government, “you cannot take away this money from you”, which is what we discussed so far. Daniel B. Rodriguez: That’s not a problem they face in California, as it were given the political realities of that. So where does this all end, both from a kind of legal constitutional matter but also political matter? How we are going to be reflecting on this battle about sanctuary cities six months or a year from now? David Dana: I don’t know, I mean, it seems to me that it isn’t in the interest of the administration to actually push this as hard as they are rhetorically pushing it. So if you look at President Trump’s executive order it suggests that all the funding is going to be taken away immediately from virtually every city. But if you look at actually what they said they propose to do is to take away a few million dollars here or there. Nadav Shoked: Yeah, I agree with David. Justice Department in the litigation in California has again and again highlighted, well, actually it was more than that, they basically told the judge just ignored the Executive Order, it doesn’t mean what you think it means. Actually, we are only going after this very small amount of money that we are quickly allowed to go because we are going to policing and the judge there just to an extent did not believe them saying but the President tweeted this or tweeted that, it’s tough to imagine them actually going after the major grants that cities got because of both the practical and the legal challenges. But I agree with David. The rhetorical game is useful for both sides, I actually think. Both for the President, who can go after places that are perceived as liberal like Chicago or San Francisco or Austin, Texas, but it’s also useful to those cities themselves because the city leaders get to portray themselves as those who are standing in the way of an administration, federal administration that’s exceptionally unpopular in those specific cities. So politically it benefits both sides. Daniel B. Rodriguez: So as we move on this issue of politics, let’s move to a very different issue, and that is, although an issue that may have some of the same salience that is climate change. So in the last few months, the administration announced their withdrawal from the Paris Climate Agreement, very soon thereafter indeed during that debate, a number of states, governors of states, perhaps most notably Governor Jerry Brown of California along with some others and some prominent mayors announced that they would continue their efforts to deal with greenhouse gases and all of those particular issues. I am struck by the fact as the two of you know, this is not a new debate. You come across the attention of the media from 2001 when Governor Bush announced the withdrawal from the Kyoto Protocol, there was that sort of déjà vu all over again. There was some attention at the state and local government level about addressing these issues in 2009 in the midst of debates about, I guess it was the Copenhagen Protocol, thereto was an effort on the part of state and local governments. So, David, let me ask this question just, first, is there anything different about what’s going on here in the wake of the remarkable announcement by the Trump administration about Paris? David Dana: I think it’s quite similar to actually what you saw on the Bush administration in a sense that you have a federal government announcing that it’s not going to engage in international accord and it’s also going to move domestic policy back and might even try to limit the ability of states to be aggressive or to act in terms of climate change. So in that sense it seems quite similar to what we saw during the Bush administration. The level of animus on the part of the Trump administration toward climate science and toward the issue as a whole, seems more intense, and so I think that’s created an even more active reaction on the part of state and local governments. And it’s also just 20 years later, so there’s more of an infrastructure on climate change in these cities and in the states, more of knowledge, more of a base, more of a coalition, but the basic dynamic awry is the same. Daniel B. Rodriguez: So you said in past, and I want to come back to the issue as a matter of history, in the years following, let’s take 2001 as a key beginning in some respects of all of this, how effective — well two-part question, how effective were state and local governments in the years following in dealing with issues of climate change, and second, to the point you raised, did the feds push back at that time? Did they in fact tie the hands of state and local governments in terms of dealing with these issues? Nadav Shoked: Yeah, well in this issue, everything really comes down to California in some way. So in the Clean Air Act, as it’s structured, California has special rights to seek a waiver from the federal standards to impose stricter standards in terms of air and cars. And in addition to that, California has this institutional structure built up around clean-air that really predates federal law. And California I think was quite effective after the kind of Republican takeover earlier in the early 2000s in pushing ahead, they pushed ahead with stricter fuel economy standards, they pushed ahead with stricter air-quality standards. And they did receive push back, so the administration, the Bush administration sought to cancel California’s waiver that would allow California to implement stricter fuel economy standards. And that’s really important because the way the law operates, if California picks a stricter standard than the federal government, any other state can opt in. So basically half the country can choose to be California if they act first under the act. And that waiver litigation went on and on and on and ultimately it was mooted by the election when the Obama administration came in. So one big question now is, will the Trump administration also seek to tie the hands of California legally and what will happen in the DC Circuit and elsewhere if they try to do that? I think you are going to see very aggressive litigation and it seems to me California is probably going to be successful in continuing to push stricter standards if there’s a federal rollback. Daniel B. Rodriguez: Sean Spicer, who any day now maybe lost in the dustbin of history but was standing in the well as it were not that long ago, a few weeks ago, said when the question was raised directly about state and local efforts, was heard to say “We believe in states’ rights and if the state and local governments want to pursue these climate initiatives, we wish them all the best, et cetera, et cetera.” I think they mean that. David Dana: Well, that’s one of the fascinating things about all this debate, because traditionally we heard from the Republican Party, from conservatives intellectually, a belief in localism and states’ rights, that was behind a lot of the support of the Tenth Amendment, but that depends partly on political alignment who controls what government, and so now you tend to have somewhat liberal state governments but also liberal city governments. And you see more of a push to preempt the liberal city governments as in Texas and to tie the hands of the state government. So I don’t know how much that Sean Spicer rhetoric, which has a real intellectual history, really matters or not when it comes to actually interest group politics on the environment. I think skeptically it seems more that people’s substantive views about the issues drive them more than their views about the proper allocation of authority. Daniel B. Rodriguez: Let me push the point about the liberal cities narrative, which we talked about in connection with sanctuary cities in here again. One of things that’s striking is the rise of a fairly significant critical mass of Republican governors, not the most conservative Republican governors, Republican mayors, again not the most conservative, but a fairly wide swath of folks from the Republican Party who are supportive of this initiative. Again, maybe California is not a good example in this regard but a couple of weeks ago, former Governor Arnold Schwarzenegger was talking in ways if you substituted Jerry Brown or Kamala Harris, you would see some of the same rhetoric. So is this a movement — I guess I am asking a political question that threatens to swallow up the administration at least on the dimension of these issues, that is to say, the rise of Republicans and conservatives who are supporting efforts to deal with this issue of climate change. David Dana: Well, I think there are a couple of elements to that. I mean, so in some of the cities the Republican mayors are looking at real climate affects that could affect their cities. So if you are at Virginia Beach, Virginia and you are going to be dealing with the ocean and the effects it matters, what happens on climate change, and so, just from a practical viewpoint they have to deal with it. So I think the local issues do matter. I also think, as you say, there is a spectrum in the Republican Party and it appears at the local level there’s more room for being less ideological and more pragmatic, and so that at the national level it seems like climate change has become almost a litmus test, whether you believe in it, whether you don’t, whether you are going to act or not, and at the local level it’s much more pragmatic. So of the 250 cities that have signed on host the Paris Accord Withdrawal to do something, a number of them have Republican mayors. Tulsa, I think is one of the cities. I mean, you have some cities that actually are not very liberal cities, they are probably going to do different things than Berkeley or San Francisco. They are probably not going enact very rigid energy efficiency codes, they are probably not going to go all to electric cars, but they are at least rhetorically on the same page. Daniel B. Rodriguez: The Paris Agreement was an international agreement, and so one of the fallouts of the end of the agreement is not only weaves a vacuum for state and local governments to implement policy, which is what we’ve been talking about, but actually in here I am thinking of former Mayor Michael Bloomberg in effort to actually reach out on behalf of local governments to enter into these negotiations with international. So America’s pledge, so-called, his movement that he started sets out as a goal to enter into international agreements on behalf of a consortium of cities, states, businesses and universities and it raises a fascinating issue of politics and of law, which is, in essence what business or what authority do state and local governments or in some cases private organizations have to negotiate with on an international level with foreign governments. Is that a nonstarter and they actually aspire to do that? David Dana: Yeah, first of all, Mayor Bloomberg really has 23:31, this is I think an amazing idea. He wrote a letter to the UN General saying, “We, this group is going to do exactly what the United States would do. We will sit down, and we will be in periodic negotiations. We will have a seat at the table. Don’t worry about the federal administration.” That’s an amazing statement. In some ways legally I can see it having room, so at the international although at the Paris Accord’s level there is a lot of openness not only to nation states but to observers, to civil society, to NGOs. There is a tradition of that in this process. So I don’t think within the Paris Accord’s that it would necessarily be a problem to have someone like that sitting at the table. I don’t think they would have the same clout as the federal government but I could see them participating. There are a lot of participants. The question is, what is the federal government going to say about seven states purporting to negotiate in Paris or Copenhagen? What authority can they give them and also can they try to stop them or try to limit what they can do? So I could see that really being an issue, because you know state governments are not supposed to act having foreign policy in the United States, not supposed to negotiate treaties or something close to treaties. So I wonder whether their role really can’t be the same to really have a seat at the table. They are really going to be more like a civil society group that just comments in this kind of — more generally in the background. Daniel B. Rodriguez: Or it would be a little skeptical or cynical about it, maybe this is one prong in an effort to bring pressure to bear on the national government when thinks of the consortium of businesses, for example, may be that Trump administration doesn’t care as much about the universities, but they may care about the muscle of Silicon Valley and Wall Street and other. David Dana: And there are a lot of large corporations involved in this initiative and so I think that does help. The other thing is, we saw a little this after Kyoto, after the United States didn’t ratify Kyoto. The US still sent delegations to the conferences following. We were still there even though we were technically not, because the US for economic and other reasons has a really strong stake and what gets decided there. So I think this also will pressure the federal government to participate even if it’s not formal participation which could be a possibility. Daniel B. Rodriguez: Navad, let me ask you this question, so we picked two topics, topics that are in the papers, we could have picked 12 other topics that deal with clashes between the federal authority, Trump administration and state/local governments. So you’ve looked at federalism from the historical perspective and all of that. Take a step back and help us understand sort of, is this part of a cycle of feds at war with state and local governments, is this sort of American federalism just with a Trump flavor or what we have seen here is something — that’s something profoundly different? Nadav Shoked: Well, I think that the conflict between the federal level and the state level obviously goes back all the way to the beginning. But the conflict between the federal level and the local level that’s to an extent something new. We did not see local government continuously and repeatedly are trying to engage in issues that have historically for whatever reason been perceived in America as national issues whether it’s environmental policy, it’s immigration or other such issues. So that to an extent is new, it’s not new to the last six months. It’s not just since the current president came into office and has much more to do with the rise of major cities as important economic and political players here and elsewhere for the last 20 years. No one would’ve imagined the discussion the two of you just had about cities attending international conferences to deal with global warming even in the 80s. So that is definitely new, and that’s also why we’re seeing in places where there’s like Texas or North Carolina or elsewhere much more conflicts between states and cities about these hot button political issues because a lot of, for example, the environmental policies that cities in what we normally think of as more conservative states are pursuing are being blocked not by the federal government, but again very much like with immigration by the state government. You mentioned before Republican mayor, so Miami has a Republican mayor who wants to act on these issues of global warming because that’s the quintessential example for the category of cities that David mentioned of that or just have to deal with that, but then you have the Republican Governor which is in essence does not allow localities to use the term “global warming”. So those are the kinds of the conflicts that we are seeing that we did not see before. It is the rise of the city even if only on the rhetorical and political level to a level where it can actually debate issues with the state or with the federal government. Daniel B. Rodriguez: And as we are talking about this in a law school with the law professors, are these issues likely to be resolved at least to some degree by the courts and by the federal courts, by the United States Supreme Court, by battles in politics, by the electorate, none of the above, all of the above, who are going to help us settle these kinds of issues? David Dana: We know the state courts are not very protective of localities so with very few exceptions, I think localities or cities with respect to their state governments are kind of on their own, they are in the political process. I think in the federal domain there is more constitutional, historical president for the courts constraining what the federal government does. Daniel B. Rodriguez: And there is alongside of that, this issue that goes well beyond the state and local conflicts which is the battle between the executive branch and what’s been called the Imperial Presidency, a battle certainly predates Trump, but is exacerbated by a lot of the rhetoric, and the role of political institutions, intermediate area institutions, even so-called civil societies as you describe it. Those have historically not been able to be settled by the courts, you might say the final word, but they are certainly being called upon, every other day when here’s either of actual litigation or the threat of litigation involving the administration and its effort. So I assume you think that that’s going to continue on. Nadav Shoked: I do, yeah. Daniel B. Rodriguez: So we will have to wait for another time to drill down with respect to some other issues, but as we come to a conclusion let me just say, what are some from both of your perspective, hot button issues that are likely to arise that involve conflicts and clashes between the feds and state and local governments? Nadav Shoked: So within the next few months, we are going to have major issues with respect to money as the administration move forward towards a new budget and maybe or maybe not an infrastructure investment, localities throughout the United States including very rich ones rely heavily on federal funding for a lot of projects that are exceptionally important to people’s daily lives. So transit, parks, and that’s even before we got to the typical issues of public housing and such, and if the administration starts cutting that as seemingly will, that will be a major challenge to cities including to all those star cities we mentioned here in passing, whether it’s Chicago, New York or San Francisco which are all dealing with their own issues; whether it’s with issues of housing or public transit which is now a major issue like say in New York, where they need Federal funds and a lot of these cities have enjoyed great amounts of federal funding during the Obama administration, if that money disappears it’s not clear how those cities all can be placed at. Daniel B. Rodriguez: Tort preemption. David Dana: Yeah, so one of the things that’s unusual about the United States is tort law is state law and it has a big regulatory role, it has a bigger role than it does in some other countries. And there has always been support in Congress for preempting state law, it usually comes from conservative business interests and products liability law, and that’s taken on a lot more steam. And so, I think you could see that kind of conflict where you see statutes being passed by Congress that effectively are preempting state products liability, state tort law in a way that hasn’t been done before. Daniel B. Rodriguez: Great, much more to talk about. So, that’s our show for today. I want to thank Professor Shoked and Professor Dana for joining us, and thank you for listening. I’m Dan Rodriguez, signing off from the Northwestern Pritzker School of Law. Outro: If you like more information about today’s show, please visit HYPERLINK “http://www.law.northwestern.edu/planetlex” law.northwestern.edu/planetlex or HYPERLINK “http://www.legaltalknetwork.com” legaltalknetwork.com.